This Teacher Learned About Building A Lean Body From Lee Labrada! 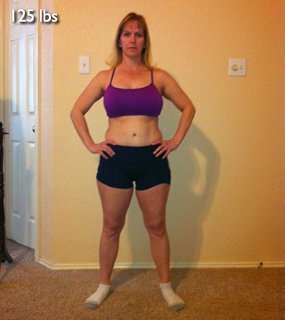 Dee Dee dropped the body baggage to take her life back to slim and fit with the Labrada 12 Week Trainer. I twirled a baton from the age of 2 to the age of 20 and it was easy for me to stay in shape. As I got older, my life revolved around my family and exercising was the thing furthest from my mind. After our second child in 1997, my workouts were sporadic. I just couldn't get into the mindset. That lack of motivation led to a pear shaped body that was all trunk. When my husband and I reached our 40s, we finally looked into the mirror and certainly didn't like what we saw. I was a 5-foot 135-pound woman with flabby arms and saddlebags for hips and my husband was a 5-foot-8, 235-pound heart attack waiting to happen. We desperately needed a change. My husband and I decided we needed to seek a healthier way of living. We were able to slim down a little on our own, but it wasn't enough. 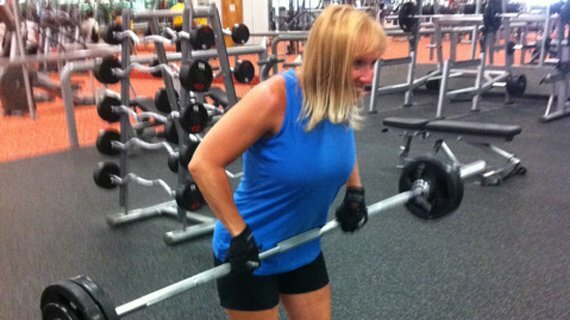 As my husband began researching for different programs and diets, he found Bodybuilding.com. 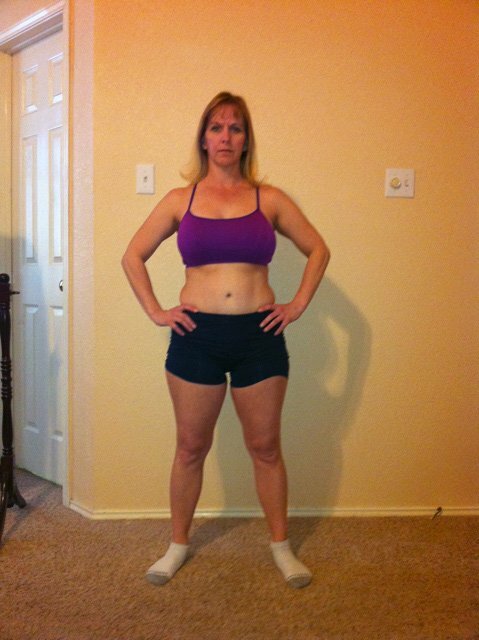 We loved the blogs, workout routines, diets and the "real people" transformations that we saw. It gave us the motivation that we needed to put health as a priority. The actual body transformation was a bonus. Our 22-year marriage is young again. We have so much more energy to get out and live life. You know things are going well when you're lifting with a smile. We started with the Lee Labrada 12 Week Lean Body Trainer. My husband has always been a fan of Labrada and thought this would be a great way to train not only our bodies but also our actions. It taught me how to stock the pantry and cook healthier foods. We began eating healthier, and made a pact that no matter what, working out would be a priority for our day. The plan was simple and very basic. We missed one gym day in 12 weeks due to it being closed on Mother's day. We didn't let that stop us, we went out to the track and ran. We have integrated fitness into every aspect of our lives. We firmly believe that our bodies are temples created by God, and by all means we plan to keep it that way. This temple is as strong as it is beautiful! My husband (workout partner) and I have been married for 22 years and I know for a fact that I wouldn't be doing this successfully without him. Find a workout partner and motivate each other to keep going. Don't spend time on the negatives - find small successes and celebrate. Hold each other accountable and continue to strive for something more. In time your body will crave the healthy foods and endorphins you get from exercising.